Hello and welcome to MORSEMAD! 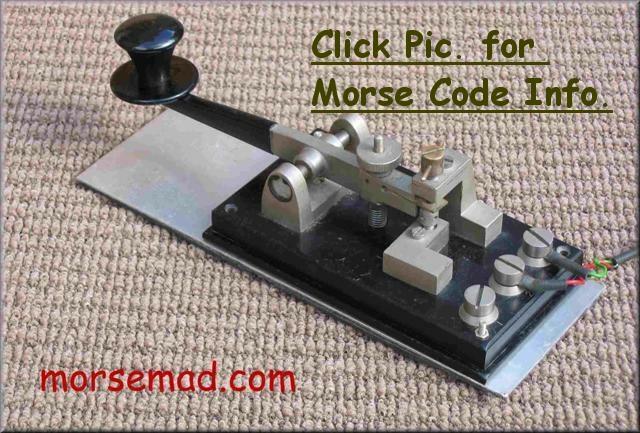 There are pages with info on morse code, pictures of morse keys, a couple of downloadable tutor programs, mystery keys etc..
Click to hear a little morse! 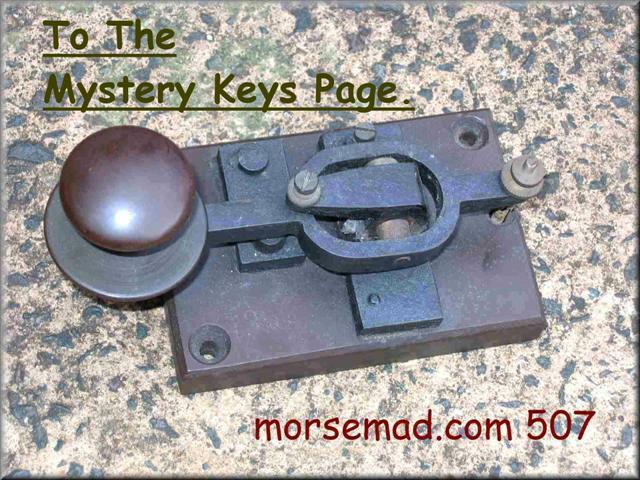 Morse Keys Wanted ! Morse Keys Wanted !.......Any Interesting Morse Keys Wanted......Spark Keys --- Bug Keys --- Weird Keys --- Marconi Keys In Particular.........Just email me !! Rare Brown Brothers Magnetic Twin Paddle Key. Scarce Swedish SRA Bug TYP140. By N. Jacobsen of Oslo. The World. By "AUGUSTUS STROH. LONDON"
GQRP Club Page (low power radio). The K4KEY Telegraph Key Collection. George VK2DLF has a great site Down Under. by Dave Johnson / W5FZ . has a fine collection of keys. The Straight Key Century Club. Riccardo Memeo / PA5MX Collection. Need Parts for a bug ?.